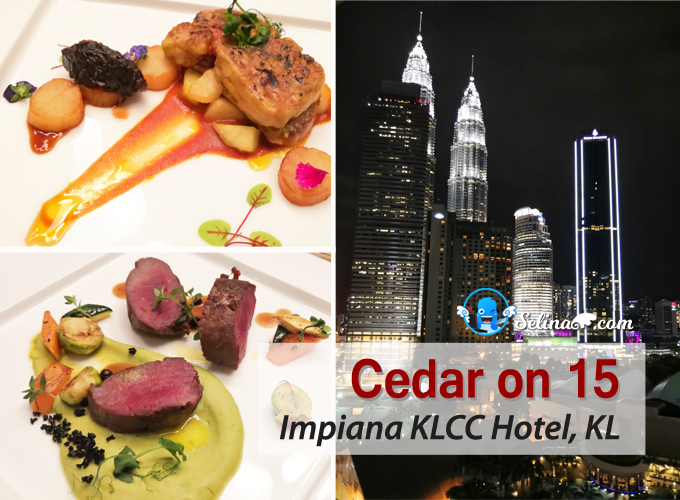 What are you doing on Valentine's Day 2015? 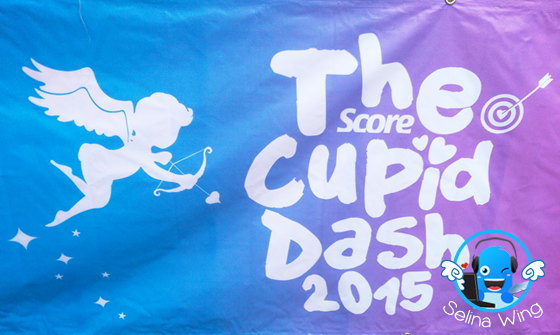 Why not bring a partner or your best friend to join The Score Cupid Dash 2015? OK! 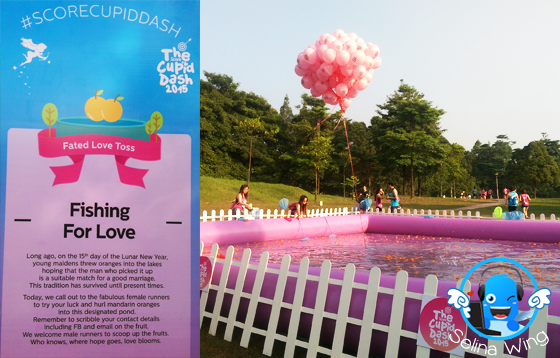 Let's explore the Cupid Dash journey to peek the love of couple at Kepong Metropolitan Park, Kuala Lumpur! Hehe! 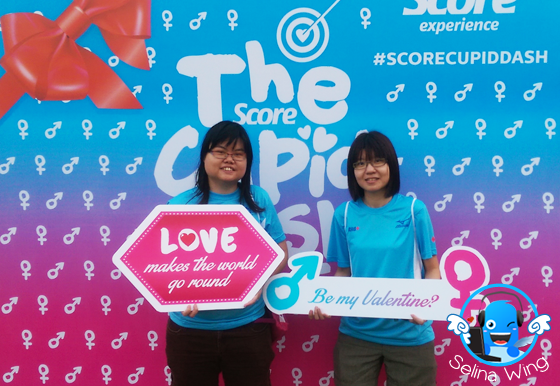 Wow, many couples and friends also enjoyed to walk to experience different games along 3.5km at the Kepong Metropolitan Park on 14 February 2015, from 7.00am! There are six games; Sensuality Safe Swing, Fated Love Toss, Enchanted Passage, Love Bridge, Sweet Bites and Love Hut, which we explored so fun! It is good experience for the SCORE Run first time to organize the attractive event so very nice and unique. 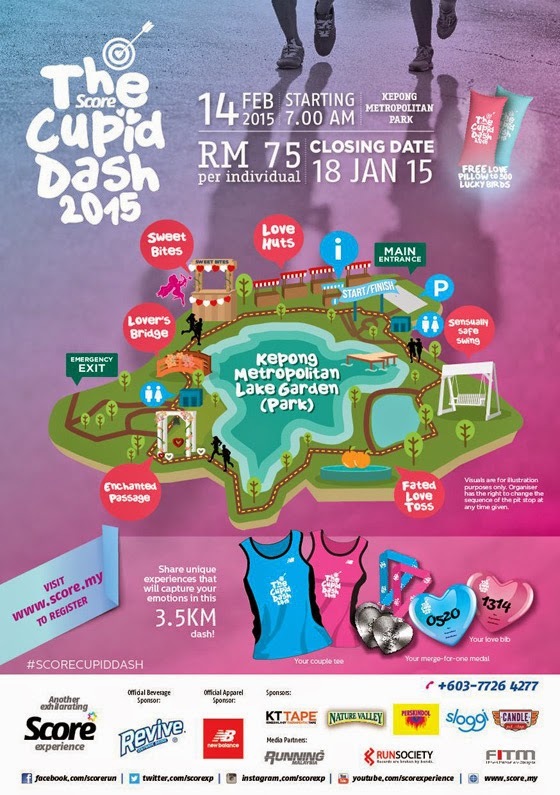 Cute design cupid @ Cupid Dash 2015! First time, I was in Kepong Park so it get a big lake wow, so very beautiful since my good friend guided me there, as I am invited by Tommy, and media, thank you so very much! But, the parking space are limited only, unlike Bukit Jalil Park near my house. My car have to parked at outside park. 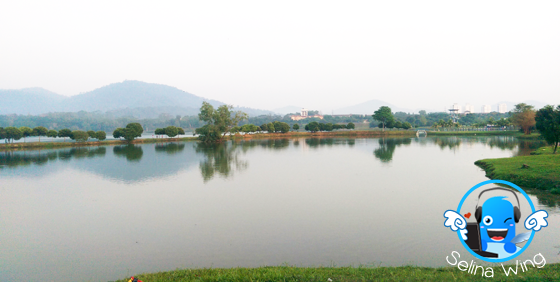 I still felt this Kepong lake can give us more peaceful and make us felt breath more so fresh air so good. She and her family also jogging near her house only! Wow, many couples and friends enjoyed to take many photos on themselves. 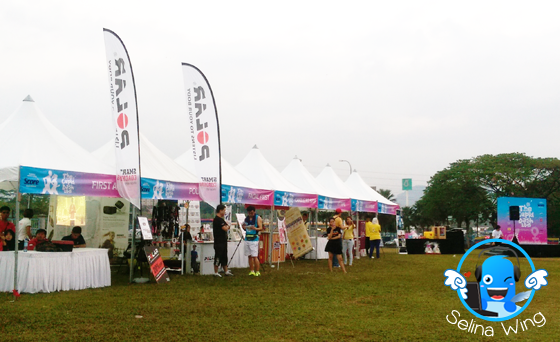 There are 4 waves of flag off to allow the runners to gain a better experience in each pit stop; first come first serve basic; 7am, 710am, 720am, and last wave, 7.30am. Luckily, we are not late! We just reached at 7.15am, due we late to wake up. hehe. 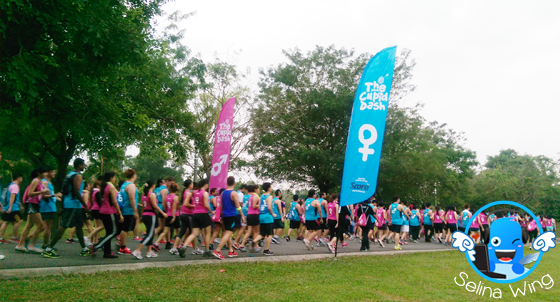 We got to see many couples with blue and pink colors in the running vests around the Kepong Metropolitan Park so wow! 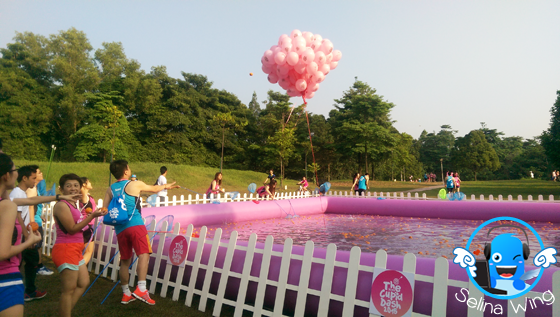 First, we reach the swing place, and many people queued so long to sit on the love swing near a lake, so cute! They take photo together to make happy and joy mood! 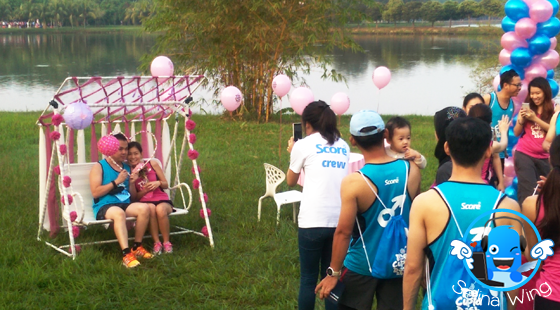 Good, the volunteers offered their help to take photo on many love-birds and best friends so busy! Then, they can choose the different of beautiful enchanted passages so they take their sweet memories' photos there! Sometimes, the girlfriends are very shy when the boyfriend proposed to them! Few friends to take a heart of bravery to tell their confession feeling to their loved! Many group of friends also can take photo so together, when they don't have their own partners! Wow, I never expected that this park get a "love bridge" for the love birds and group friends who enjoyed to take selfie photos! My good friend and I just enjoy to take more photos around the bridge and can see the beautiful lake so very peace! I met my blogger friend, Elana Khong! 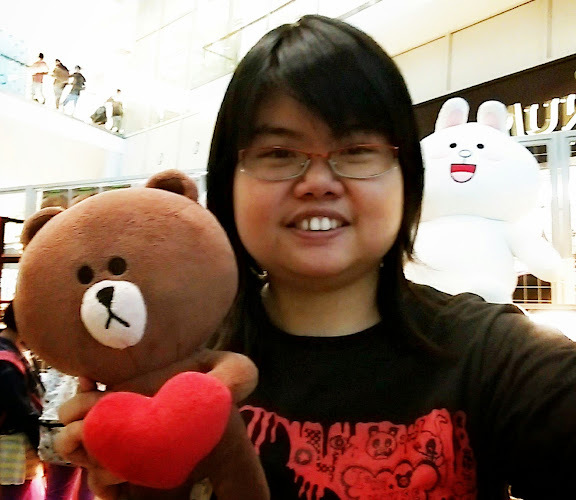 She happy to take photo with us too! Wow! 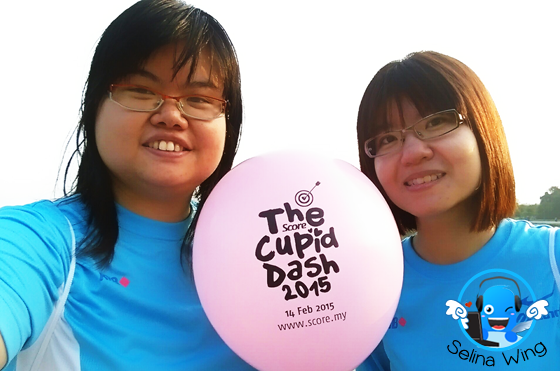 My good friend and I are in her photo at her blog, please read her "SCORE CUPID DASH RUN 2015" post - link ya! I shocked to see a big pool after we passed the bridge, funny single friends busy to throw the orange, in order to make a wish or collect the mandarin oranges, which have their heart-capturing messages, that is why the female and male runners, who are single, also hope to get new partner if they collect and find the oranges which have messages! My good friend and I planned to eat orange before we throw into a pool. We are not wasting the food, especially the mandarin oranges, as we are earth life lover. Haha. The angels come to us then they offered to give free flowers to me and my good friend who almost reach their finish spot! They are my Angel of Valentine! 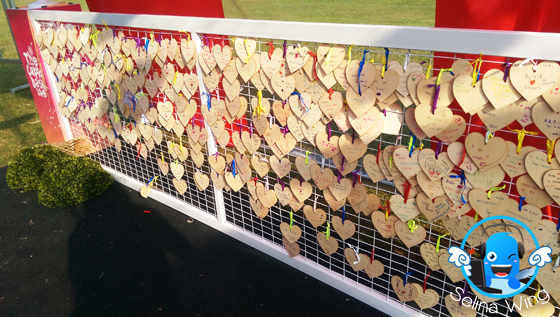 I saw many runners busy to write the messages on the love woods. I wonder what they write on the love message, then they put up their love message at the love booth! 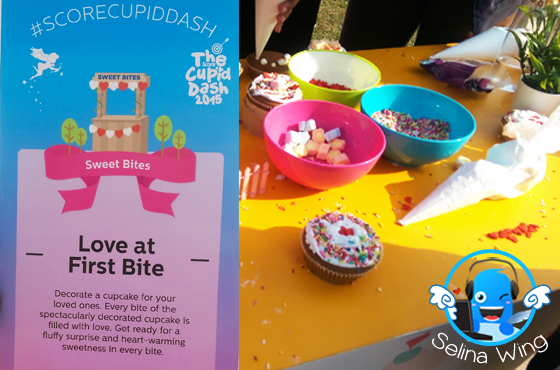 Lastly, cupcake-decorating booths! 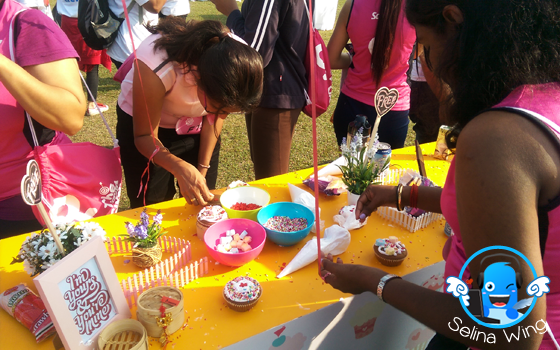 They provided bowls of marshmallows, cream, and bowls of sugar-hearts for runners to decorate their cupcakes and feed their loved ones with it! Wow, I am sad that the cupcake are finished already! We are late, nevermind. 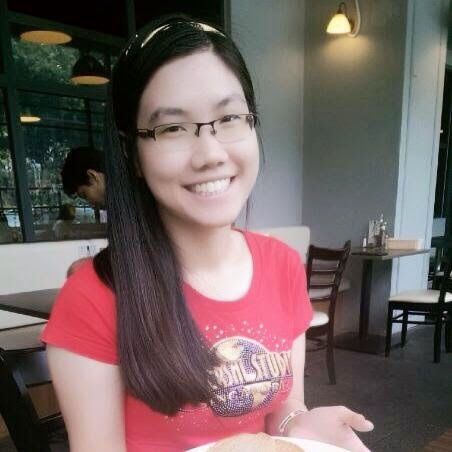 I enjoyed to see what they do on the cupcake hehe. Each lady will feed a cupcake to their loved? Good idea. 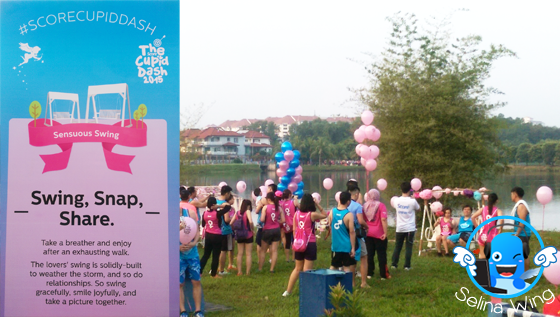 Finally, we finished our walk at final place which the volunteers who are waited to give the medals to the runners only! 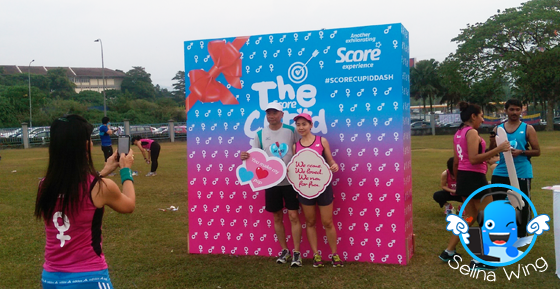 We don't have the medals because we only acted as the press media bloggers, and enjoyed the sweet moments which delivered by the cupids of The Score Cupid Dash 2015! 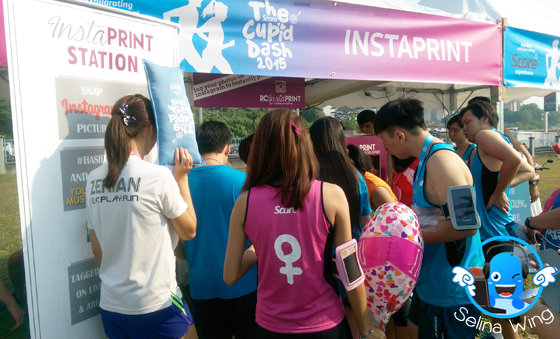 I saw many couples queued so long to get FREE printed photo by InstaPrint booth! 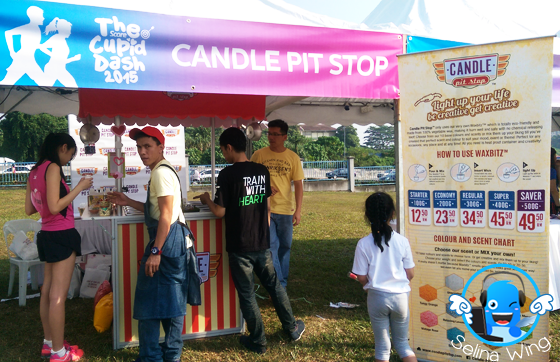 The Candle Pit Stop also attracted the runners to try new sweet candy! First time, my good friend and I learned new things about the InstaPrint and Candle Pit Stop. 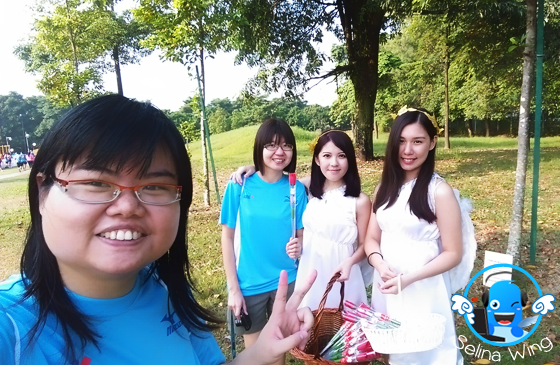 We enjoyed to take photo together while my friend blogger, Tommy helped us! Thank you! 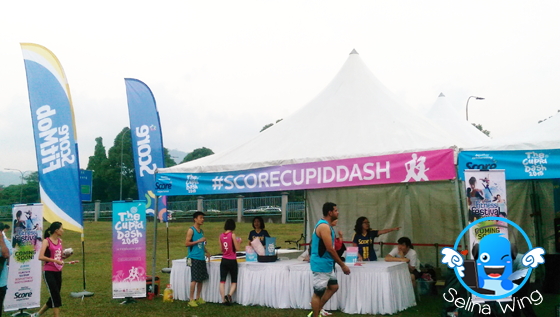 See you again @ Cupid Dash 2016 again! 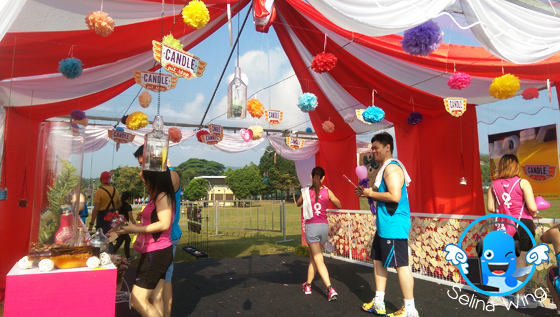 Come to see the photo gallery @ Cupid Dash 2015 Facebook! 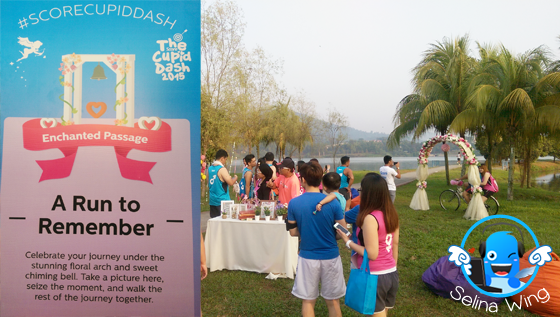 This event is a romantic fun run with filled the great love which the single friends and couples get new experience to fall in love with running all over again! It make the best friendship relationship become stronger!